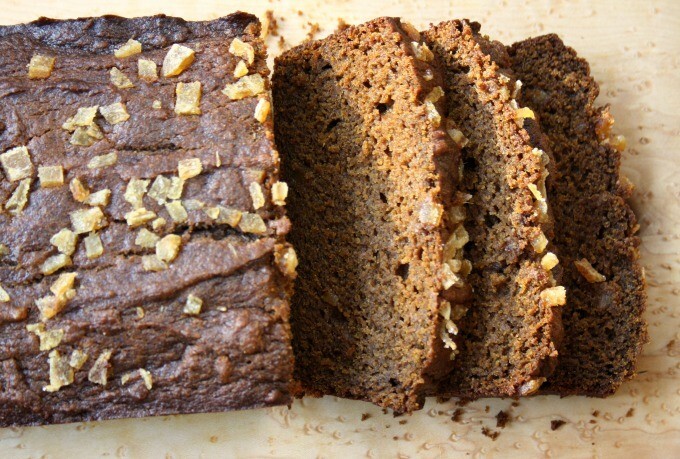 Gingerbread, pumpkin and molasses.  Has there ever been a tastier trio? Thanksgiving is our pumpkin carving weekend. It’s a family tradition up at our cottage with my children and all of my nieces and nephews. 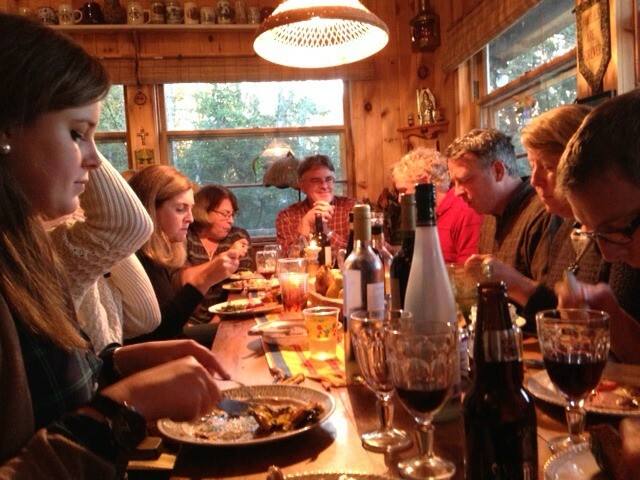 The kids (many of whom are now in their 20s) do the carving and the parents drink wine. It’s a great afternoon. We’re also busy preparing supper so by the time the carving is complete we’re all set to sit down to our Thanksgiving feast. When the last piece of pumpkin pie has been eaten and it’s good and dark outside, the great pumpkin lighting begins. It’s an impressive sight to see that many intricately carved pumpkins clustered together out on the deck, flickering in the autumn scented breeze. From pie to the great pumpkin carving fest, pumpkin is very much a part of our Thanksgiving weekend. 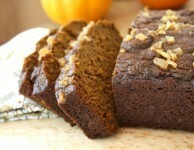 That’s why this pumpkin gingerbread will be a great addition. 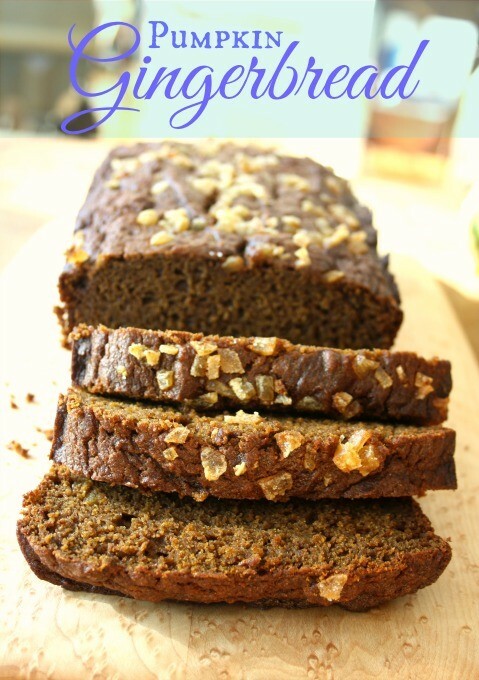 Flavoured with classic gingerbread spices and a note of nutmeg this gingerbread combines all that I love about pumpkin pie and gingerbread – lovely texture and a beautiful spice blend. The candied ginger sprinkled on top makes it extra pretty and adds a little more sweet heat. In a medium bowl, whisk flour, salt, baking soda, ginger, cinnamon, and nutmeg. In another bowl, mix the pumpkin purée, melted butter, sugar, molasses, 1 Tbsp. of the candied ginger, eggs, and water. Combine the wet and dry ingredients, mixing gently just until combined. Place the batter into the prepared pan and sprinkle top with remaining 2 Tbsp. of candied ginger. Bake for about an hour, until a skewer poked into the center of the loaf comes out clean. What a great job with the pumpkin carving.they look great. 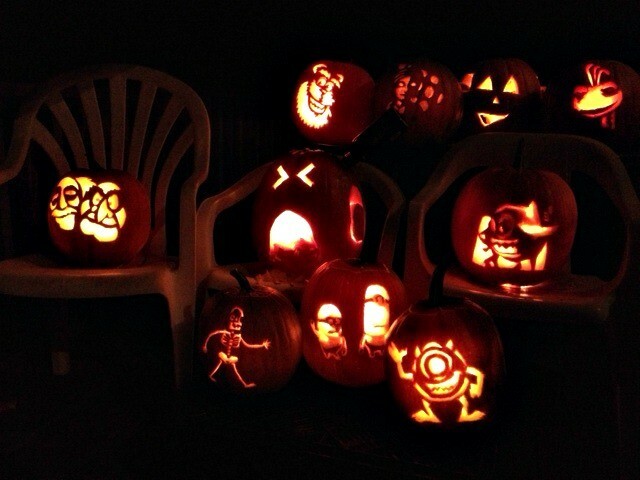 the carved pumpkins look great…what a good job quite artistic. Bridget I am looking for a great recipe for Gingerbread Loaf. Do you have one in your Crosby collection? Thank you , have a great day. 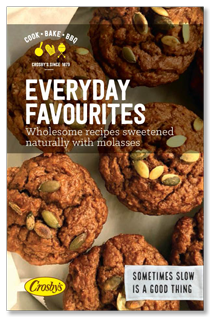 Hi Enid, Would you like me to add your email address to our recipe distribution list? Just let me know. Hi Lucille, I love your molasses memories! I will email the nutritional info for the muffins. Unfortunately I don’t have the nutritional information for the other two recipes. 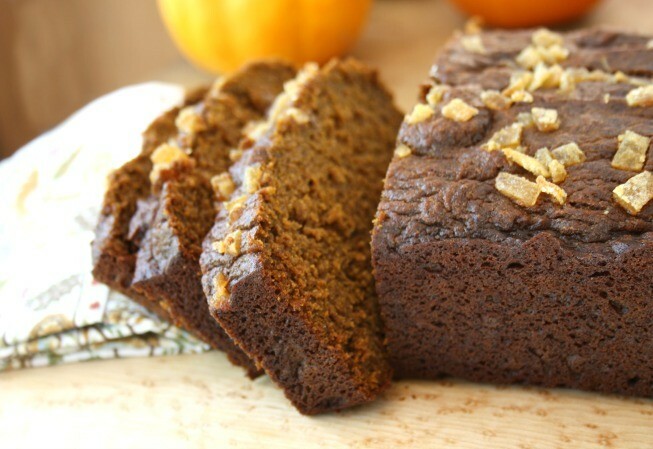 what size can of pumpkin puree is used for this recipe? There are several sizes of cans and it sure will make a difference if the wrong amount is used….how many ounces or cups of pumpkin puree?? Hi Marg, The recipe calls for one cup of puree (not a whole can). Enjoy! Hi Sue, The recipe calls for one cup of pumpkin puree. We have lots of other pumpkin recipes on the website if you’re looking for ways to use up the rest of the puree in the can. Fantastic recipe! Have made it a few times now and have received rave reviews. Thanks for sharing!